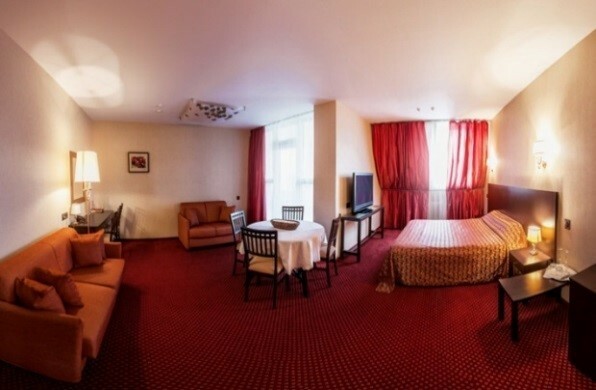 "Park-Hotel" is situated in the comfortable, historical, central part of the city, in the park zone near the business centers, architectural monuments, museums and exhibition halls. The building constructed in year 1830 was functioning as a private weaving mill on the territory of Karl Neiman mansion. By architectural and artistic significance and historical importance, the building was classified as the valuable historical construction that suppose the conservation of the main facade. The hotel complex accepts guests since 2005. In year 2012 the full reconstruction of the hotel was carried out. The suite capacity of "Park-Hotel" is 34 comfortable suites, among them: 11 cosy standard suites, 15 suites of business class (DBL/TWIN), 7 luxury suites and two-room apartments. "Park-Hotel" has a conference hall (with capacity up to 100 persons) for organization and carrying out of business meetings and conferences. You may conduct business lunches, coffee breaks, stand-up meal and informal business meetings at the restaurant "April". You may relax after a hard working day at SPA zone. The creation of the atmosphere of convenience, domestic comfort, individual approach to each guest, cordiality of personnel and exceptional confidentiality are the distinguishing features of our hotel. Cosy one-room suite with area of 20 square meters. 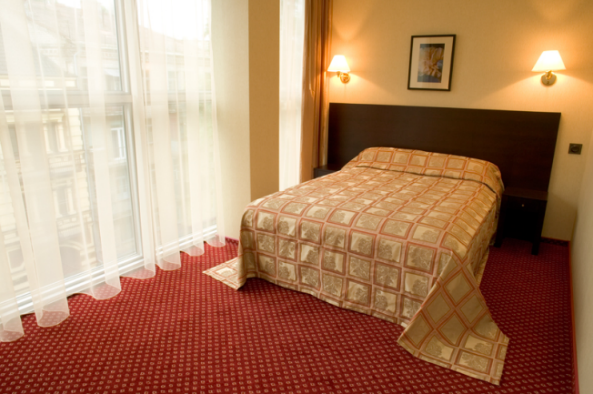 The suite includes all necessary for comfortable accommodation of one guest. Suites of this category are situated on the 5th floor and they have the beveled mansard ceiling. The suite includes the working table for the full-fledged work during business trips, telephone, TV set, Internet access, safe, mini bar, bed (1600*1800) with orthopedic mattress. The bathroom unit is equipped with the shower cubicle. 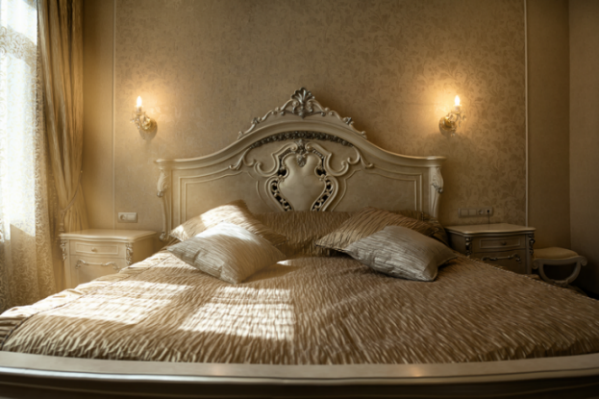 The furniture for the suite was specially manufactured at the Italian factory «Gasparucci». Cosy one-room suite with area of 20 square meters. The suite includes all necessary for comfortable accommodation of one or two guests. The suite includes the working table for the full-fledged work during business trips, telephone, TV set, Internet access, safe, mini bar, bed (1600*1800) with orthopedic mattress. The furniture for the suite was specially manufactured at the Italian factories. The bathroom unit is equipped with the shower cubicle and all necessary cosmetics. Spacious suites of the category «Standard Panoramic» are situated on the top floors of the hotel. The area of the suite is 29 square meters. Business class is the spacious and cosy suite with one big (2000*2000) or two separate beds (900*1800) with orthopedic mattresses. The suite includes the working table for the full-fledged work during business trips, telephone, Internet access, TV set, safe, fridge, spacious bathroom with all necessary cosmetics. Suite De Luxe is the beautiful cosy suite, which includes the luxurious big bed «king size» (2000*2000) with orthopedic mattress, writing table and comfort sofas. The suite has the spacious bathroom with all necessary cosmetics. One of the suites of this category consists of 2 rooms: study with the area for recreation and bedroom. The personal terrace of the suite has a tremendous view on the city. The area of the suite is 40 square meters. Spacious suite Studio Luxe consists of bedroom area with the luxurious big bed «king size» (2000*2000) and adjoining comfortable living room-study, where you can find all necessary for carrying out as business negotiations, so romantic dinners. Each area has a plasma TV set for the comfort of two guests. The area of the suite is 52 square meters. The spacious bathroom has all necessary cosmetics. The personal terrace of the suite has a tremendous view on the city. The area of the suite is 65 square meters. 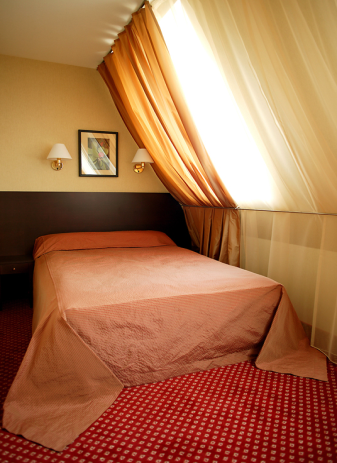 Suite of the category Apartments differs from the other suites of the hotel by some notes of romanticism. This very beautiful snow-white suite, executed in classic style, never stays empty – there you can find all necessary as for carrying out of business negotiations, so for luxurious relaxation. We recommend it to loving couples and newlyweds during the wedding celebrations. The lightness and airiness of the snow-white classic interior will left in your memory the feeling of romanticism, spirituality and uniqueness of the moment forever. And the photo session made in this chick suite will keep in memory the warmness of emotions for long years. Looking through the pictures and description of the suite Apartments, you will understand that we have provided here absolutely all conveniences. The suite includes the sumptuous bedroom with magnificent bed «king size» (2000*2000), spacious living room and two bathroom units. All furniture was specially manufactures at the Italian factories and it differs by its individuality and style. On condition of accommodation in suites Standard and Standard Panoramic of two persons, it is added to the cost of the suite the 100 UAH per additional breakfast. The cost of accommodation includes the cost of breakfast. Check-out time 12.00 A.M. The settlement to the hotel before 12.00 A.M. is considered to be early arrival. The cost of early arrival is 50% from the total cost of the suite. Departure from the hotel after 01.00 P.M. is considered to be late departure. The cost of late departure is 50% from the total cost of the suite. At guests disposal there is a conference hall with area of 90 m2, equipped with all necessary for conducting of presentations, conferences, business meetings and seminars on the highest level. The cost of lease includes the lease of the following equipment: projector, screen for slide showing from the projector, flip-chart, microphone, Internet access.